A veteran senior government enforcement investigator for close to two decades, and a retired Certified Fraud Examiner (CFE), the author lives in Minnesota and the Caribbean and enjoys spending time in Miami and Montana. 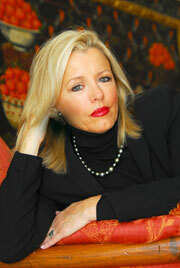 She is a thirty-two-time national/international award-winning mystery author. "Marilyn Jax keeps penning these five-star novels." "Marilyn Jax artfully combines her expertise as an enforcement investigator with her gifted writing style." "My goal is to give readers a great story to get lost in. A tale readers will remember long after they finish the last page." "The Ploy" is a genuinely entertaining 'whodunit' that holds dedicated mystery buffs captive. Revealing author Marilyn Jax's genuine flair for the genre, "The Ploy" is unreservedly recommended . . ."